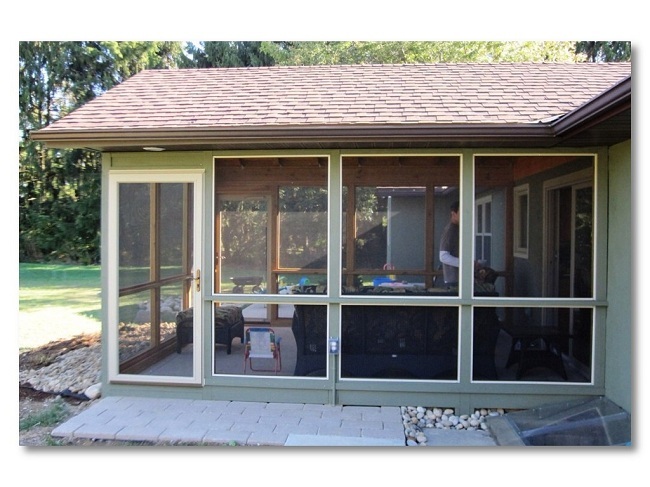 Trending now – building a screened porch over your Columbus, OH patio. 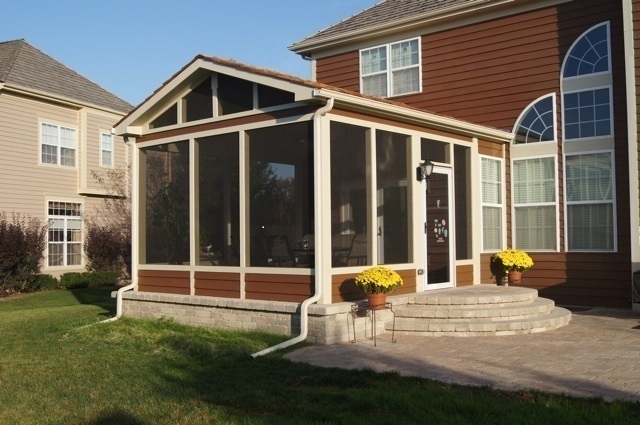 Find out why the screened porch and patio combination in Columbus is taking off, and learn how you can design a unique outdoor living space for your backyard too! Two of the most popular outdoor structures are showing up together in backyards all over the Columbus area! 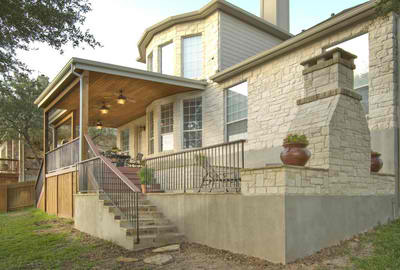 A trend we’re seeing lately is homeowners adding a porch atop a patio. 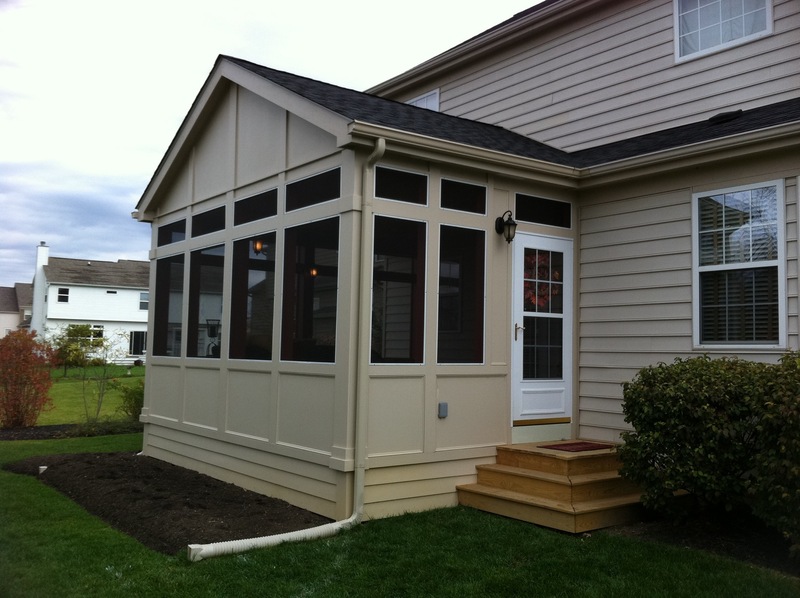 The traditional screened porch addition is often seen alongside a deck or patio. 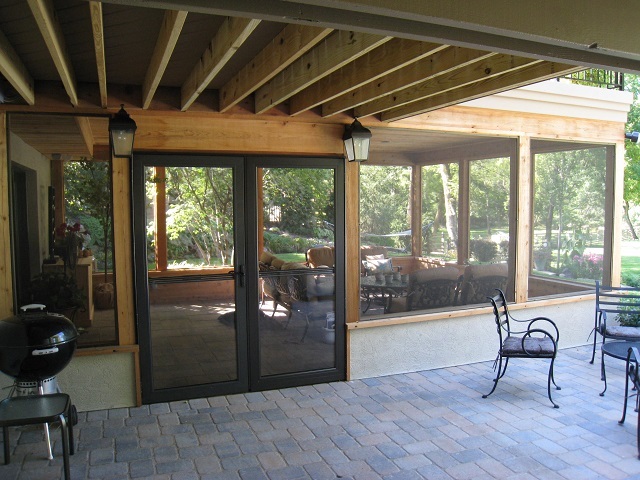 The screened porch and patio combination outdoor living space is popular because it mingles the look and tactile characteristics of stone or other hardscape mediums with the rustic appeal of the screened porch. 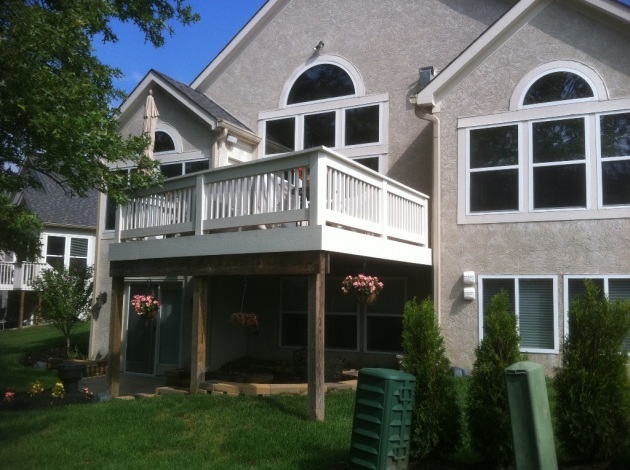 It’s often true that rooms built over paver or stone floors can be more costly to construct. The added cost comes into play when you factor in the additional aggregate needed to build up the base of the patio and the fact that hardscape materials are simply more expensive than wood floors. 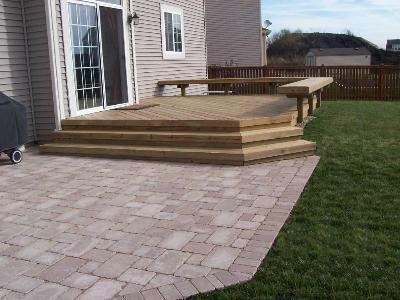 However, if your porch is built at low grade, you will not need the additional fill to build up the “platform” for the hardscape. 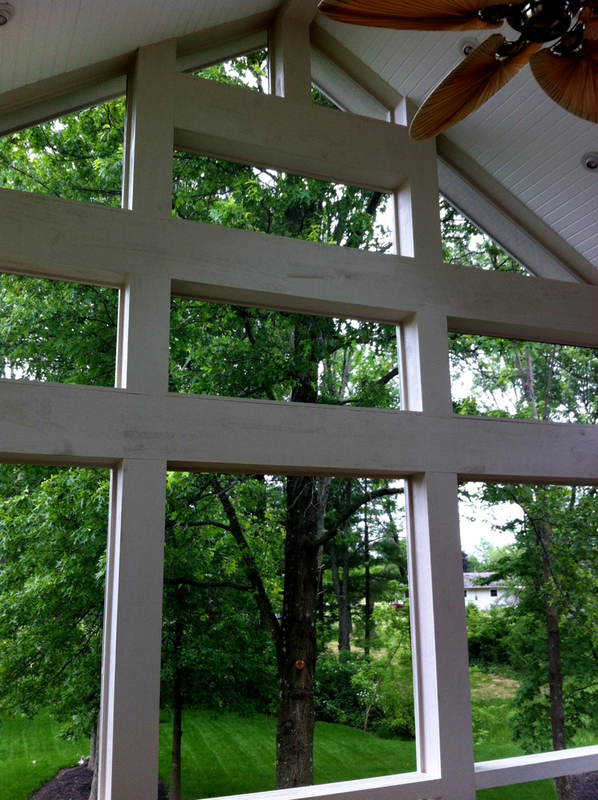 This gable roof screen porch incorporates patio elements into it’s design. 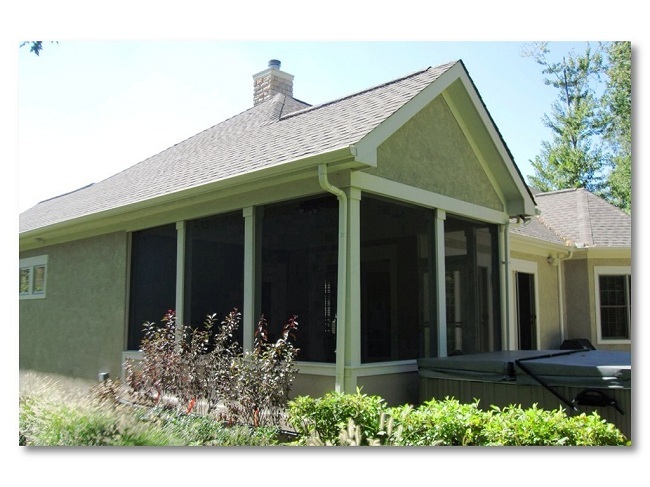 Another viable option when considering merging a patio and screened porch is to construct the patio with a screened porch adjacent to it. 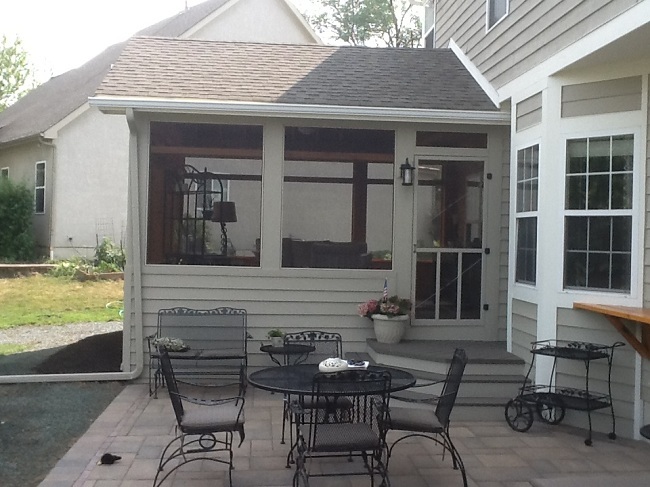 The patio and screened porch combination picks up where the deck and screened porch combination left off. There are several ways to incorporate these spaces but the bottom line is you may just prefer the upscale look a hardscape patio adds to your screened porch. 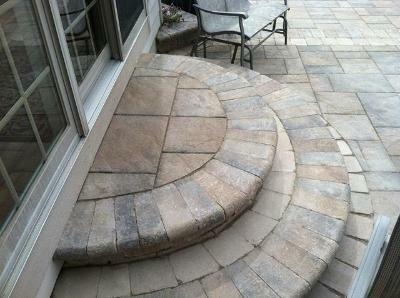 By adding curved hardscape steps you can provide additional seating space within your patio. 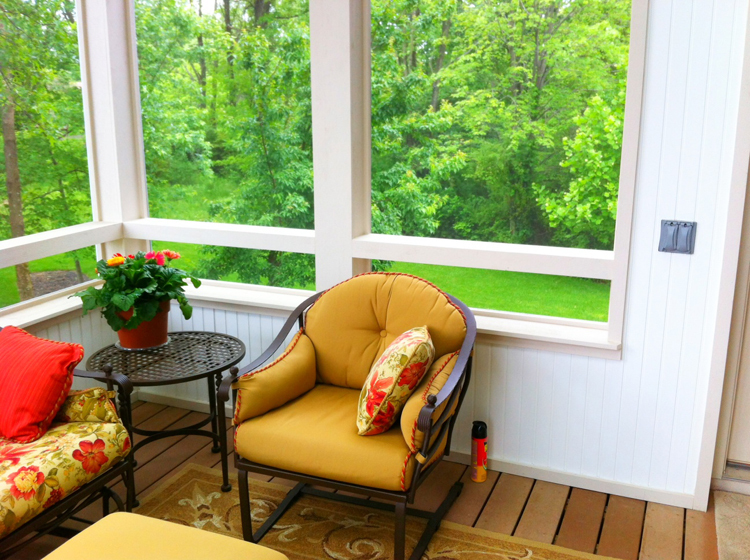 There are many hidden benefits of choosing a patio as the perfect partner for your screened porch. Not only are hardscape mediums ultra-low maintenance, they also look the part and stay cool even when the temperatures soar high in the double digits. 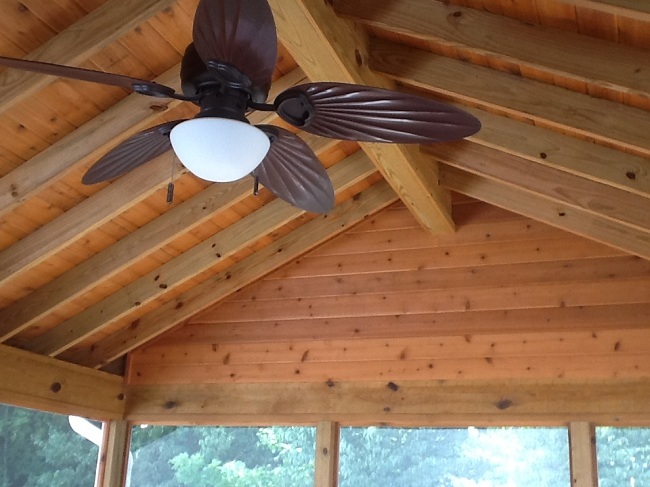 You can view more screened porch and patio designs by visiting our screened porch photo gallery, and our patio and hardscape photo gallery located on our website. Author archadeckofcolumbusPosted on June 12, 2013 Categories Patios & hardscapes, Screen PorchesTags Archadeck of Columbus, Building the perfect Columbus OH outdoor room, Columbus OH hardscape designs, Columbus OH hardscape experts, Columbus OH hardscape outdoor rooms, Columbus Oh hardscaping trends, Columbus OH patio and screen porch combinations, Columbus OH Patio Designs, Columbus OH patio ideas, Columbus OH Patios, Columbus OH Paver Patios, Columbus OH screened porch and patio combinations, Columbus OH screened porch over patio, Hardscapes in Columbus, outdoor living, paver patios, Paver patios Columbus, Screen Porches Columbus Ohio, Screened Rooms Columbus OhioLeave a comment on Trending now – building a screened porch over your Columbus, OH patio. 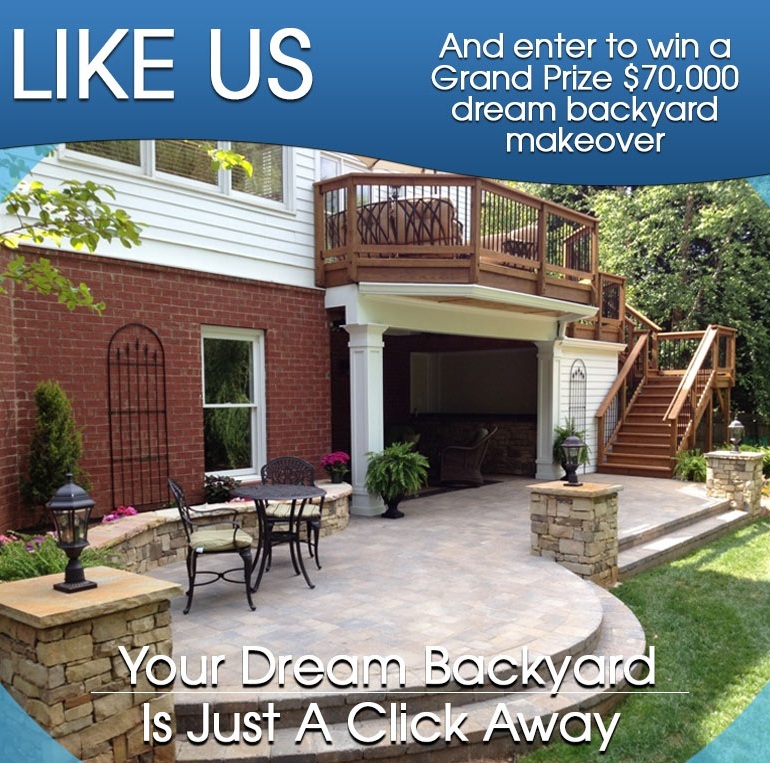 Author archadeckofcolumbusPosted on March 27, 2013 Categories Columbus staged or phased building programTags Archadeck Dream Backyard Makeover contest, Archadeck of Columbus, Building your backyard dream in Columbus OH, Columbus deck builder, Columbus decks, Columbus OH outdoor living combination structures, Columbus OH outdoor spaces design, Columbus OH outdoor structure design and planning, Columbus OH patio and deck combinations, Columbus OH Paver Patios, Columbus phased building program, Columbus porch builder, Columbus staged building program, Hardscapes in Columbus, Lving the backyard dream in Columbus OH, outdoor living, Patio and deck combinations Columbus, Screen Porches Columbus Oh, Screen Porches Columbus Ohio, Screened Rooms Columbus OhioLeave a comment on With Archadeck of Columbus’ staged building program you can be a winner too! 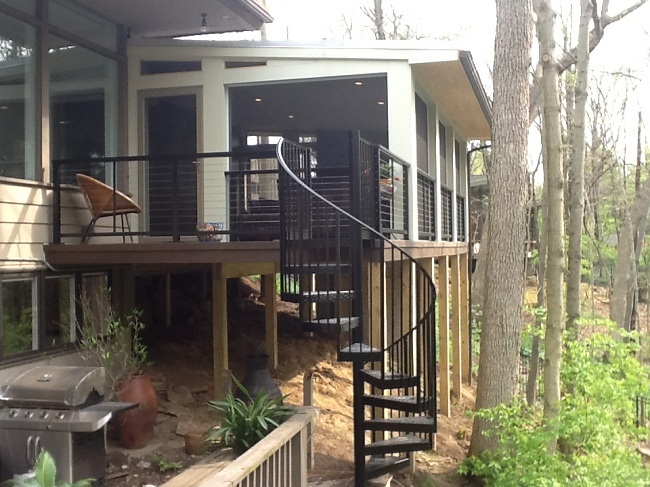 Archadeck of Columbus talks about our combination outdoor living design and our theory on how we ensure each project is done right, even down to the landscaping. This outdoor space combines an open porch with an outdoor fireplace, it also houses an indoor kitchen and spa at the other end of the porch. 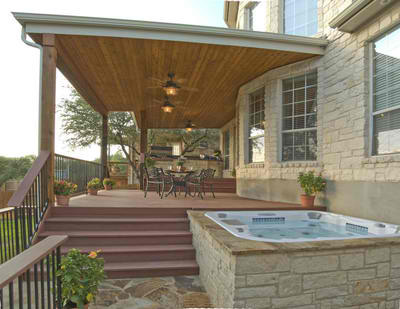 Designing the perfect outdoor space for you and staying on top of outdoor living and design trends is our business. 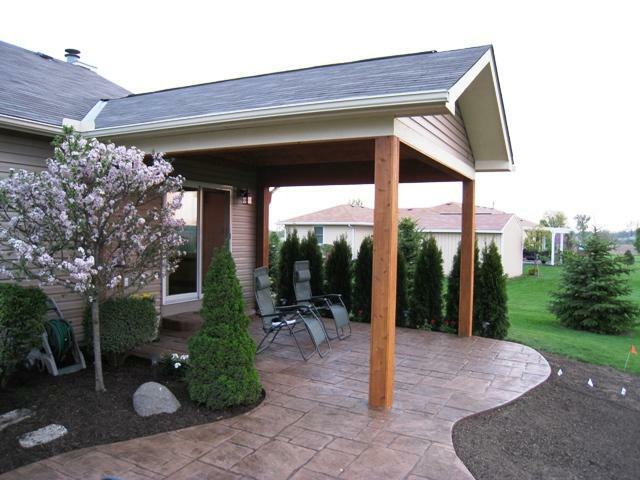 We are seeing an increase in the number of combination projects Columbus area homeowners are seeking such as deck/patio combination or a screen porch/deck/patio combination. Clients who build combination projects want to create an outdoor space that fits all their needs, and allows the effortless flow from one structure into another to offer maximum enjoyment in their backyards. In good building management of combination structures, the projects need to be built in a certain order for everything to run smoothly. We schedule everything in order, in house, so there won’t be installers at the same place at the same time falling over each other. This also means that there are no big delays in finishing one facet of the design and starting another. This enables us to finish the job the way it needs to be done. 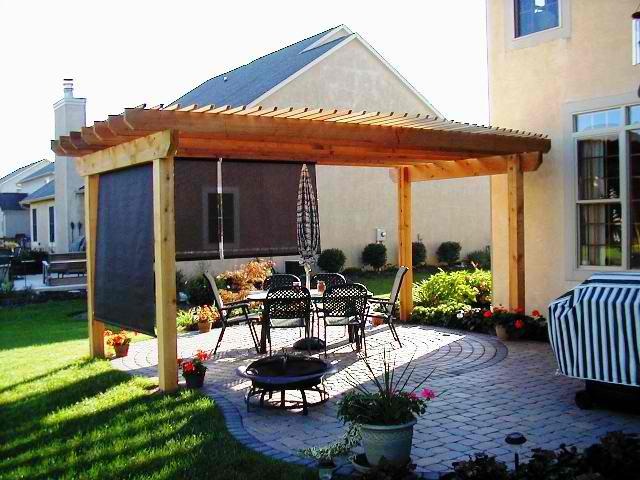 No delays due to bad planning is an element our customers really appreciate and value because multi-living outdoor structures mean that their outdoor living area is not just one part, but many working together as one. 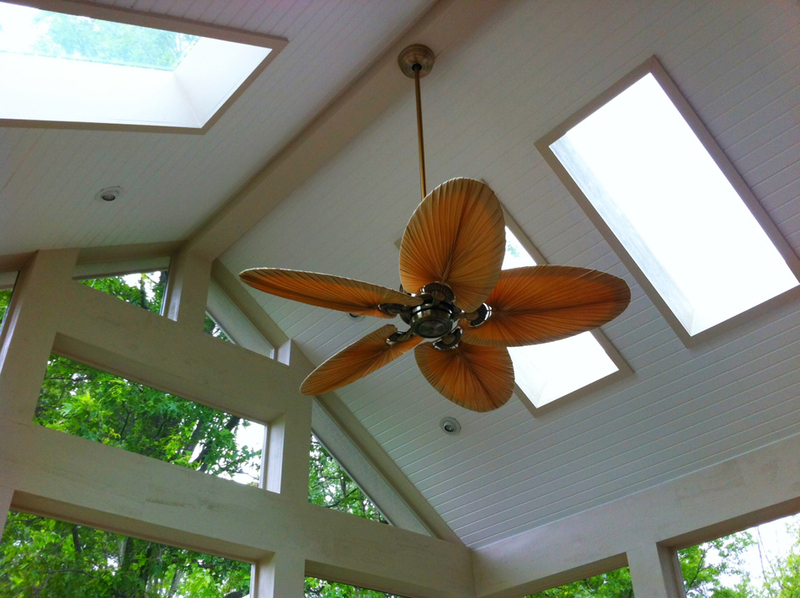 This is part of what makes us a truly outdoor living company. This image shows the other end of this combination structure. 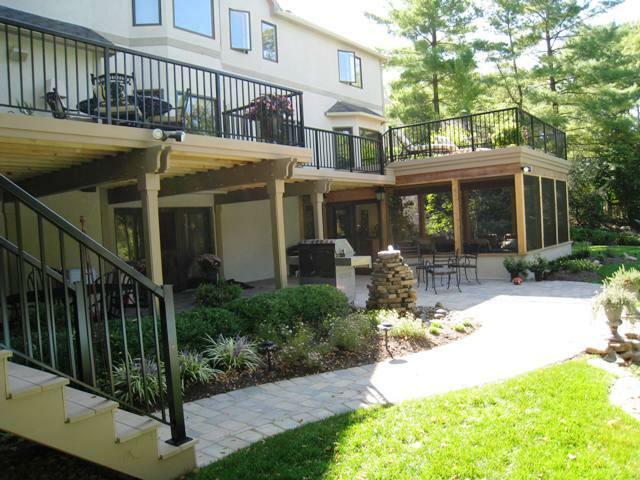 When building multi-component backyard living areas, many companies outsource the whole project or parts of the project which can cause delays, multiple crews working at one time, or other scheduling and project management nightmares. That simply isn’t the case when you are working with us. 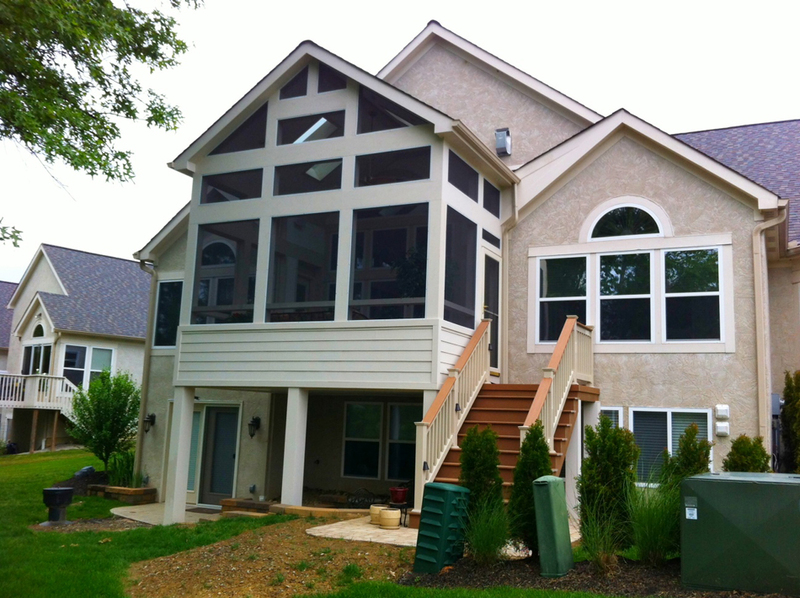 We do it all “in house”, right down to your landscaping. 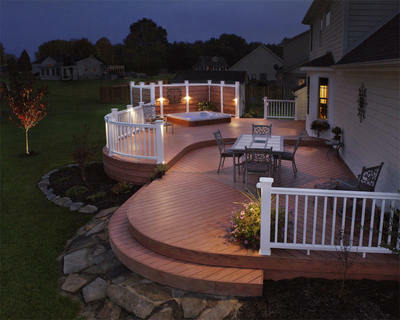 This ensures your entire project is staged accordingly and the finished project will leave you astounded and transform your entire back yard starting with the decking boards right down to the flower blooms. 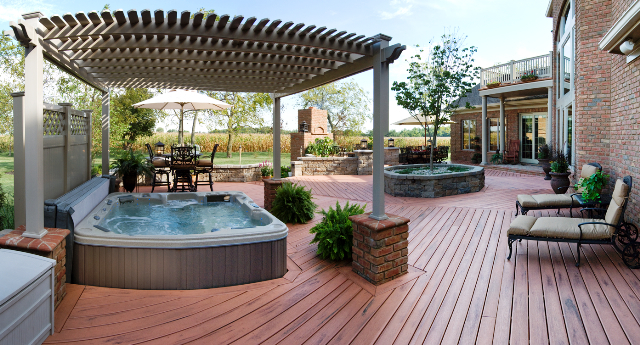 Quality is our top priority when making your outdoor oasis come to life. When you have the project management, the quality materials, the expert installers and expert designs all coming from the same source the projects run more smoothly and the designs are better integrated. Our multi-part projects are built seamlessly as one continuous flow of work. See more multi-faceted outdoor combination structures by visiting our many photo galleries, located on our website. There are so many wonderful and functional combinations it will be hard for you to choose!